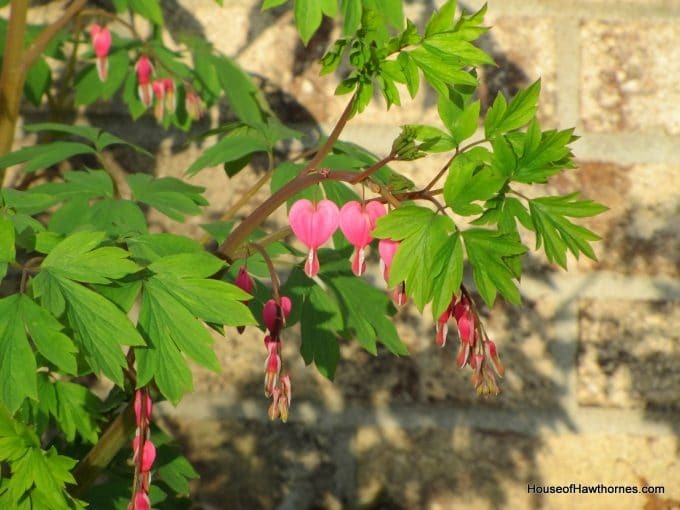 I thought today was an appropriate day to showcase my bleeding heart (Dicentra spectabilis). This is one of my favorite early blooming perennials in my garden. They grow best in light shade. Mine gets quite a bit of morning sun and then is totally shaded by noon and it does just fine. By the middle of summer this plant pretty much goes dormant. I have planted a large leaved host directly in front of it which pretty much takes over by the time the bleeding heart is done for the year. Yes, it is true that I haven’t watched an entire episode of All My Children for YEARS. But I found it oddly comforting to have the soap still on the air after all this time. So, my heart bleeds for the death of All My Children, but we all have to grow up and move on some time now don’t we. Linking with Cottage Flora Thursdays at Fishtail Cottage. 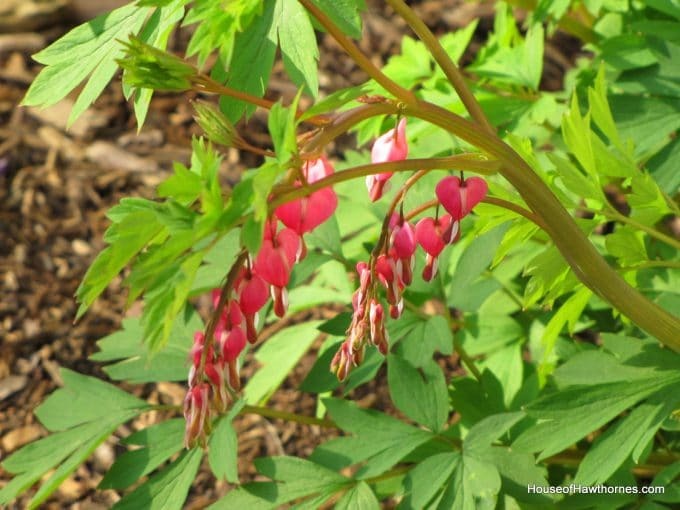 I’ve never seen bleeding hearts up close…They are gorgeous!!! Thanks for sharing them!!! They are gorgeous but oh so fragile. We have one and if you barely touch it to pull weeds, it will break or bend. Fragile like our own hearts!! No, not too melodramatic. Entirely appropriate! (And beautiful.) It’s so sad. AMC was the second soap opera I ever got into. The first was Dark Shadows and that led straight into AMC. I haven’t watched it in years either, but it’s just so sad to think it won’t be there any more. Pretty bleeding heart. I had a white one until the squirrels ate the roots. All the soaps are about gone. I know I haven’t watched them in years- probably why they got cancelled- but you are right, it was comforting to know that they were still there. They have always been in our lives and now, one by one, the are obsolete. Have a great weekend and do not mourn long- there’s always youtube and hula! What ever will happen to Erica Kane? Will she move to Port Charles??? There’s plenty of men there she hasn’t married…yet. I was saddened to hear it was going off, too. 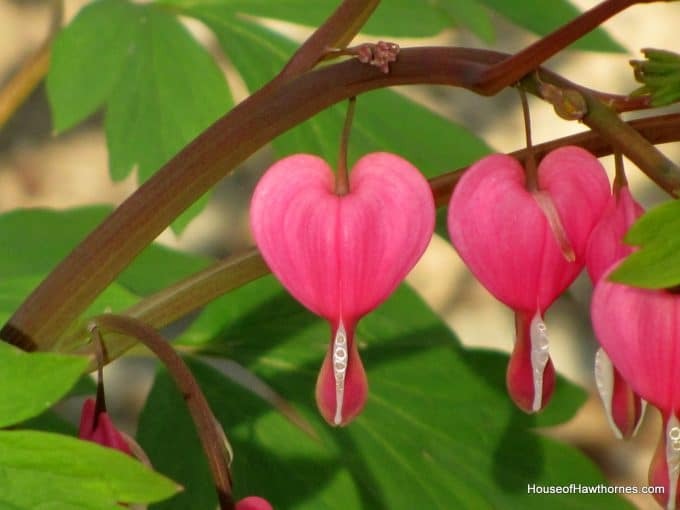 The bleeding heart is gorgeous and I don’t recall seeing one before. Love these, how pretty Pam..you took some fantastic photos! These are so beautiful!!! Thanks for sharing. I have never seen these beautiful flowers. Amazing. Thanks for sharing. Nice plant. Mine is so little and does not get bigger each year. I just hate to see that the soaps are being replaced by trashy reality shows! I know just how you feel. I remember being sad when “As the World Turns” was cancelled. I started watching the show in high school. Although in later years I did not watch the show everyday, it seemed like the end to an era to me. It seems that soap operas are being replaced by reality tv. Anyway, the bleeding heart is absolutely beautiful! I must say that I am rather jealous because I can’t seem to grow those in California! These are beautiful shots! Those flowers always fascinate me. It’s going to be odd that AMC will no longer be one. I was a huge Days fan years ago. 🙁 I have been on the road driving across country and this is the first I heard of it! 🙁 I am so sad. What beautiful photos, Pam! It’s been many years since I’ve watched All My Children, but I watched it for many years…in fact, Erica was in high school when I first started watching it! Hi Pam – just popped over from my view to yours. Your photos are wonderful. Lovely to be greeted by your smiling face, on your profile. You say over 40!!! to me you look barely out of your teens. We don’t have the same soaps over here. Thank you for leaving a comment – so sweet. 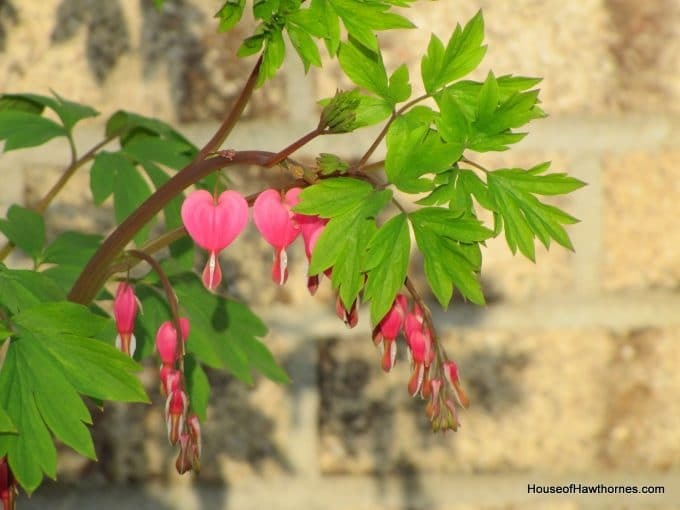 your bleeding heart is so pretty..anxious for mine to bloom. I hate change, I thought when As the World Turns that my Grandparents were upset in heaven, they BOTH watched it! Gosh those are pretty Pam! Your pictures are so vibrant. Beautiful! You have mad photography skills. I love the second one down. Is it true? AMC was a hit! I used to watch it all the time in my teens. Oh no what will become of Erica??? OMG, I had no idea about AMC!!! It is amazing the ways in which I am informed about world news. 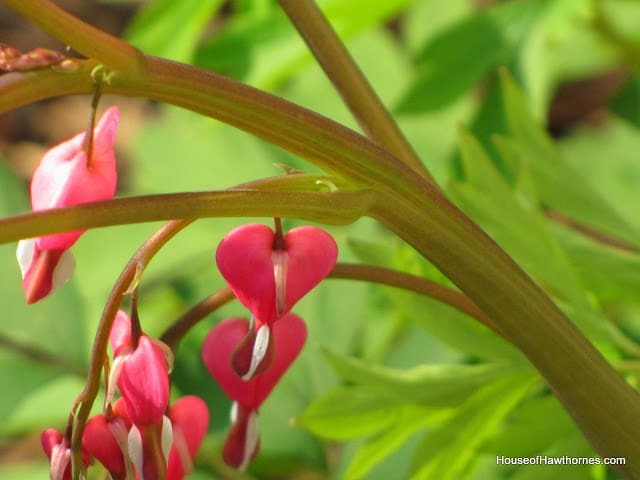 Love the bleeding heart by the way!